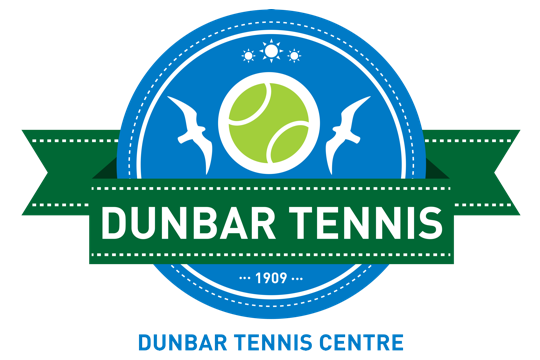 Dunbar Community Tennis Centre has one single aim - to introduce tennis to as many people of all ages and backgrounds in our local area. As an LTA Tennis Beacon Site we aim to offer affordable playing and coaching that reaches out beyond the traditional tennis club. We have a LTA qualified coach who offers a range of coaching courses, squads, camps and events - also some free coaching sessions. We also encourage competitive and performance players - a regular core of players play in the East of Scotland leagues and junior AEGON Leagues. We have 6 all weather courts - 3 courts are for the use of tennis centre member, the other 3 courts can be hired by the hour (apart from when in use for coaching and events). Don't worry if you don't have racquets or tennis balls, providing you have suitable rubber soled trainer style shoes you can play on the courts. With our annual membership fee equivalent to £5 a month, membership is the best option for anyone looking to enjoy regular tennis and the exercise benefits it brings. Add in the club socials, coaching, the club house facilities and the wider range of courts and we believe we have the best value in East Lothian!